Welcome to Caunton Tennis Club! We are a busy and vibrant tennis club, set in idyllic surroundings near Newark in Nottinghamshire. We have seven floodlit Macadam courts on the main site at Maplebeck Road. We also have two hard courts located in Caunton Village, which are also floodlit. We welcome both adult and junior members of all abilities and levels. Caunton LTC is a membership club but would encourage anyone to come and have a go! 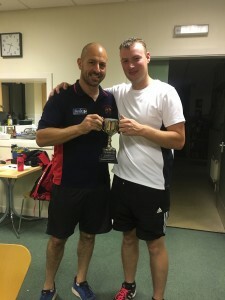 Caunton LTC is a fun family orientated club that is busy all year round and caters for all standards of play. We offer a wide range of coaching for all abilities for both adults and juniors. Find out more about membership benefits, join today! 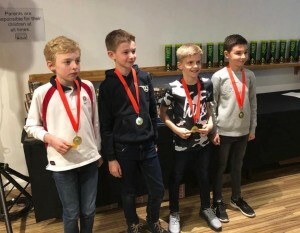 Well done to our Mini Orange Under 9 team who on Friday night (8th March) at the Nottinghamshire LTA Awards were presented with their winners medals for winning the 2018 Summer Nottinghamshire Team Tennis League. Undefeated and with some big wins, Thomas, Oliver, Jacob and Jude should be very proud! Well done boys. 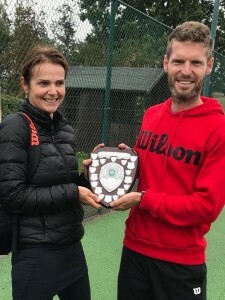 Well Done Georgina Hale who was awarded Caunton Tennis Clubs ‘Most Improved Adult’ Award 2018 at the weekend. Georgina has had a great year of tennis and with her positive attitude she has continued to improve. Keep it going!